As a Certified Facilitator of The Passion Test, LuAnn shares with audiences a simply yet powerful system to determine your true passions and set a course to living your life’s destiny. 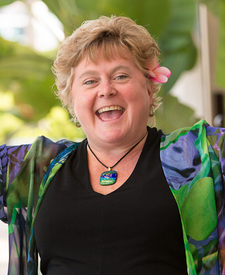 As a Certified Facilitator of the Passion Test for Business, LuAnn is Igniting the Heart of Business. Bringing to life the unique contribution of the businesses she works with while aligning their team to their personal passions to create a company culture that thrives in today’s business environment. As a Director Consultant for BNI, LuAnn has built a repertoire of presentations on networking skills and relationship marketing which she uniquely relates to delivering high quality customer service. LuAnn delivers Customer Service training with the same passion that she delivers customer service in her own event management business. LuAnn has over 25 years of experience in the Hospitality Industry, and is the Co-Author of Exceptional Care for Your Valued Clients. 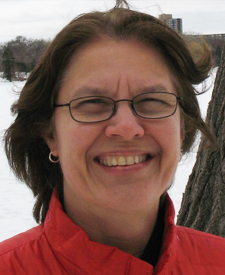 LuAnn is also a member of the Transformational Leadership Council working team. An organization created by Jack Canfield, best-selling author of the Chicken Soup for the Soul series, where transformational leaders share best practices and co-create humanitarian projects to transform the world. “Culture Eats Strategy for Breakfast” Today’s workforce is different than it used to be. Workers desire meaning in their work. They want to be part of something bigger. It’s so much more than just a paycheck. And you want that type of person on your team! The value of igniting your team with your inspiring mission and vision. How to ensure you have the right people in the right positions on the team. How to create a fired up team that thrives in today’s business environment and creates dynamic results! 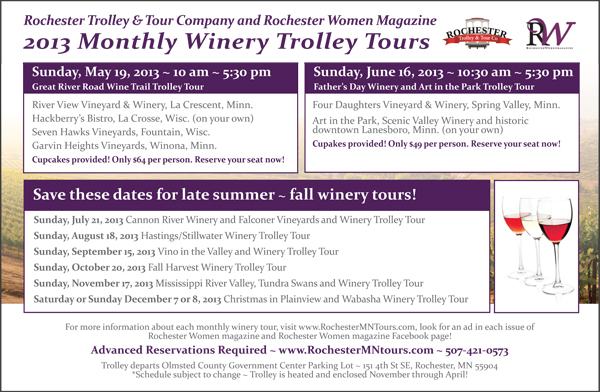 Jorrie Johnson is publisher of Rochester Women Magazine. She started the magazine in January 2000 as a home-based business to help Rochester area women connect with each other and the community. Operating a home-based business provides her the flexibility she enjoys; to be a mom to her three children (ages 17, 14 and 7 years old) and owning and breeding Olde English Bulldogges. Jorrie earned a Bachelor of Arts degree in Communication Arts with specialization in public relations and a minor in psychology from the University of West Florida (1994) and a Master of Business Administration (MBA) from Winona State University (2002). 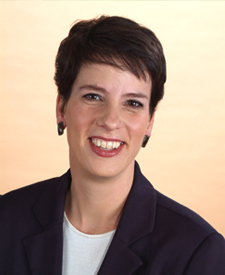 Prior to Rochester Women, Jorrie was the Director of Marketing for a computer software, hardware and Internet Service Provider company in Rochester, Minnesota. In addition to managing Rochester Women magazine, Jorrie is currently serving as a literacy tutor with Minnesota Reading Corps part-time. She has volunteered with the American Heart Association Go Red For Women, Rochester Diversity Council and is an active Rochester Area Family Y board member. She enjoys training for triathlons, Zumba and belly dancing. Introduction: I will be welcoming our guests to Step It Up I will discussing economics, safety, health and leadership of women in Southeastern Minnesota as identified by the Women’s Foundation of Minnesota, the services and resources available to women and girls to help them advance personally and professionally and share in the excitement of being a woman with many opportunities to live and thrive in Rochester! Growing up in an area family business and in turn working her way through the corporate ladder, Sheri has gained valuable insight about the world of work, the ever changing economic condition and most importantly about herself. Sheri graduated with a Bachelorette Degree in Accounting and Finance and went on to pursue a career in financial management. Through the years and several paradigm shifts later, in 2004, Sheri left the corporate world to return to what she was raised to do, to be a business owner. Sheri is a small business consultant and accountant and as owner of Skyfri Business Advisors, She sees herself as a coach and an advocate in working with her clients. In her eyes, every day is an opportunity to make a positive impact in a business owner’s life. -Determining your touchstone: Here is where participants will understand how to create an appraisal of their value. Whether a business owner determining price for service or ware; or looking for an advancement in position, determining your touchstone is the foundation for moving forward in a more opulent tendency. -Accounting for flair: Participants will gain insight on how to apply the actuated value to their situation while reducing or eliminating the interceding emotional recoil. Ascertaining resolve in the face of uncertain terms is one of the most expressed challenges in the pursuit of something more than what you have. -Powerful Acceptance: Challenge is an everyday occurrence and for many of us financial situations only increase the opportunity for aversion. Instead, participants will find encouragement and strength in an increased understanding of what their touchstone is built and to know that they are not alone as they move forward in the changing paradigm that is their future. 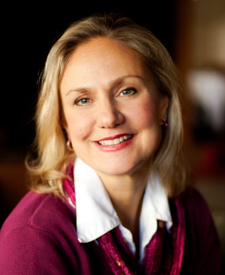 Diane Amundson is the owner of Diane Amundson & Associates. She has over sixteen years of training, speaking and consulting experience in the areas of leadership, generational diversity, team building, sales communication, conflict resolution and strategic planning. She has worked with Fortune 500 Companies like General Mills and Pepsi Cola and she has co-authored a book titled Success Strategies: A High Achiever’s Guide to Success. 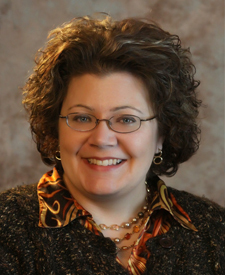 She is a member of the National Speakers Association and has served as Adjunct Professor of Organizational Behavior at Winona State University. She is a Rotarian that has traveled the world on humanitarian projects in Mongolia, India and Brazil. Her style of speaking is informative and highly interactive. Beth Ebnet has a passion for making connections. As a dedicated liaison, she specializes in connectingclients with their customers through effective communication andmarketing. Her article, “Negotiating in Higher Heels” (October 2012) waspublished in Rochester Women Magazine Business Directory which continues to serve as a topic formultiple speaking engagements. 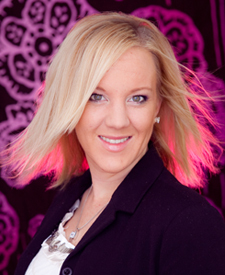 She is the Creative Strategist and owner of TRIO Marketing & Eventsand Go2Wed.com, a wedding planning directory. Through savvy marketing and smart strategy, Beth helps her clients to relate decisions to data, and implements strategies to more effectively communicate. Her focus is on creativity that converts through extraordinary marketing programs and events with flawless execution. They dazzle by delivering results. She is a graduate of Metropolitan State University with a BS in Marketing and received a degree in Meeting & Event Management from Dakota County TechnicalCollege. She currently volunteers for numerous local non-profits that support women and is actively involved in the Rochester chamber. Her bi-annual Sip N Shop events have benefited the Rochester Womens Shelter for the past 3 years. Objectives: You know your value and worth. Make sure you are getting it all. Negotiating is simply setting the expectation, outlining the steps to get there, and then taking those steps. This presentation will help you Step It Up when it comes to negotiation. Learn how to prepare your offer for negotiation, communicate it effectively, move it towards your goal and reach a solution you can accept. Negotiating in higher heels is a practice every professional women can master. Laura D’Ambrosio speaks, consults and coaches about creating freedom. She teaches people about the technology that frees us to interact with people around the planet and create incredible products and services. She also teaches about the unplugged exploring critical to cultivate the inner freedom required for creativity, relationships and success. Her unplugged travels include adventures in the Yukon with her Siberian Husky, reaching the summit of Kilimanjaro, keeping watch over a wounded cheetah in the South African bush, and horseback treks deep into the Andes mountains. Her inner explorations include studying with medicine people, buddhists and theologians and learning how brain science supports what she learned. Whether speaking or training, Laura engages you with questions, interesting exercises and creates conversations for you to connect with others.. Her speeches are peppered with stories of adventures. You’ll leave both energized and educated. Laura started her first consulting practice at the tender age of 25 and has been the director of a training company, a learning designer and developer, change management consultant, project manager and a sought after facilitator, trainer and coach. Her clients include Wells Fargo, PNC Mortgage, American Express, Select Comfort, Ecolab, Johnson & Johnson, Alliant Tech, United Health and Mayo Clinic. She’s on a mission to help small businesses, non-profits and solopreneurs create the freedom they need to create good in the world. She lives in Minneapolis, loves locally grown food from farmers she knows, volunteers at sled dog races, and travels where ever her heart calls to be. In our society, equate vulnerability with weakness and fear and think that being vulnerable means being a doormat. To mask this, especially at work, we put on our professional personas and avoid showing our true selves.We wear invulnerability like an armor that will protect us from unsettling emotions and think that toughness will help us succeed. At what price? Travelers, artists and musicians know what researchers are beginning to quantify. Vulnerability is the fertile ground of creativity and innovation and the root of trust and connection. These are the key elements for any business – or person – to succeed. With a lively blend of stories and audience participation, you’ll learn to view vulnerability as a strength that will lead you to greater success and deeper living. This entry was posted in Connect on March 1, 2013 by Rochester Women Magazine. This entry was posted in Connect on July 8, 2011 by Scott Brue.